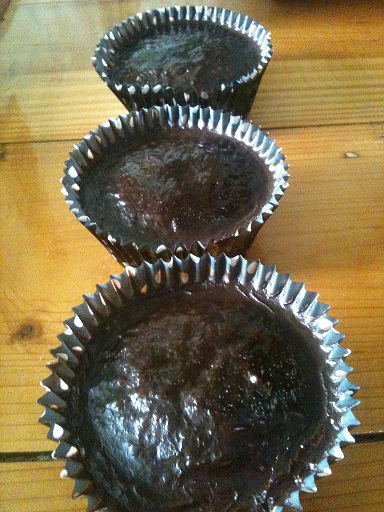 These Chocolate Olive Oil Cupcakes look very dark chocolatey but are really light and just chocolatey right. They are made with coconut flour and olive oil. I have found if I use olive oil and not coconut oil when I use coconut flour I don't get that grainy texture. So from now on that is what I am going to do. This recipe makes four cupcakes and that is the exact amount I wanted. These Chocolate Olive Oil Cupcakes are dairy free, grain free, gluten free and super delicious. Combine the cocoa, coconut flour, baking powder and cinnamon. Add the eggs, honey, vanilla and olive oil. Spoon 4 lined cup cake tins. 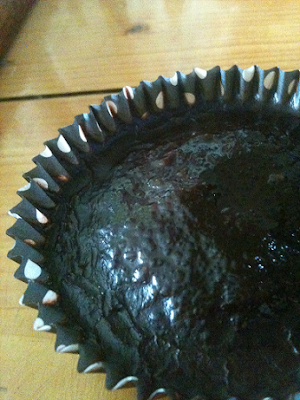 Bake cupcakes for about 20 – 25 minutes. Mix in the honey until all well combined. Allow to harder then spread over muffins. I have a bag of coconut flour that I wanted to use more of and needed to make some snacks for work so went looking for a recipe with coconut flour in it and came across these delicious Vanilla Coconut Flour Cupcakes. 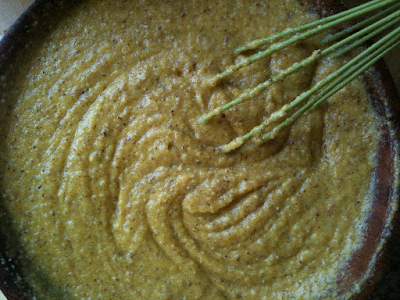 Power Hungry is the website I found this coconut flour recipe. I can never get my cupcakes to look as smooth as the ones on the site. There must be a trick to it. If so can someone please tell me what it is! Anyway these Vanilla Coconut Flour Cupcakes are delicious and really light on the tummy. I changed the recipe around a bit to suit my tastes and I really love it. I am definitely going to use this recipe again. I love that it has olive oil in it instead of coconut oil. Nothing against coconut oil but the texture to this is more normal to what I was used to during my wheat eating days. Also with this recipe you don't get that grainy texture you normally get when you use coconut flour, must be the olive oil. 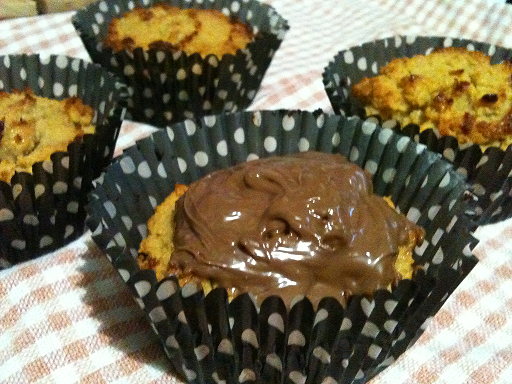 The chocolate topping is called Merenda. It is the Greek version of Nutella and is ridiculously decadent. Soooooooooo good. Not lactose free or Paleo friendly but hey - you gotta splurge every now and again. If you would like to purchase your own jar of Merenda check out Greekshops.com. They ship worldwide. 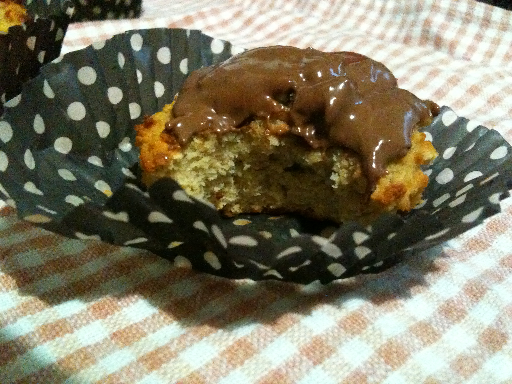 Line a muffin tin with 4 muffin paper cup liners then spray insides with nonstick cooking spray to prevent sticking. In a bowl combine the coconut flour, baking powder and cinnamon. In a separate bowl whisk in the eggs, honey, olive oil and vanilla until blended and bubbly. Bake in preheated oven for 20 - 25 minutes or until golden and a toothpick inserted in the centre comes out clean. Remove cupcakes from the tin and place on wire rack to cool. I love this Fresh Paleo Orange Cake. It's great for the summer months. It does has a slight bitter taste because the whole orange is used but it is still delicious. When I make this again I will use smaller oranges as I think my oranges were too big and it was too moist if that is possible. 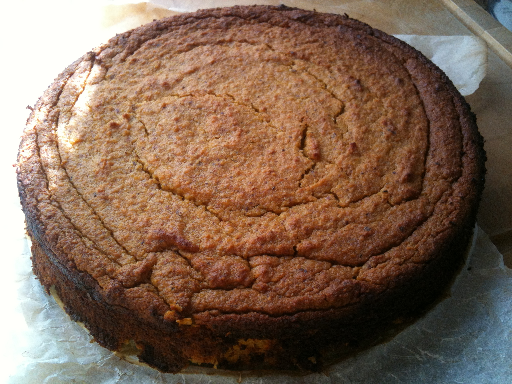 I couldn't cook the Fresh Paleo Orange Cake any longer than I did because the whole cake would have burnt so I took it out of the oven a little earlier than I would have liked. 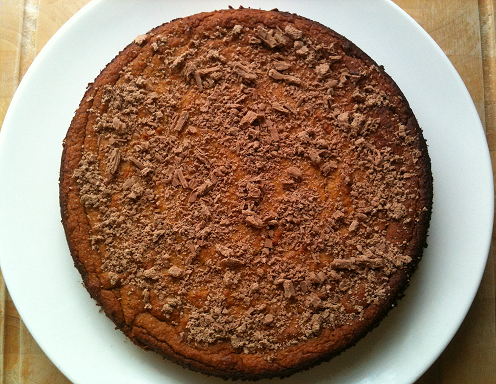 I am still trying to master making cakes using almond meal. They burn quickly and don't get a chance to cook in the centre. Anyway this is a delicious moist cake that has a zingy orange flavour and is absolutely delightful. This Fresh Paleo Orange Cake recipe does make a large cake. If you want to make a smaller one just half the mixture and use a loaf tin. I think I may do that next time. This recipe is adapted from Elana who adapted it from Nigella. Wash the oranges place them in a saucepan, cover with water and boil whole for 2 hours. Discard water. 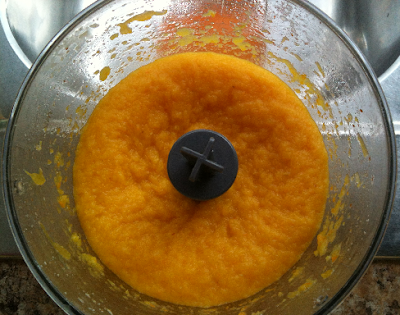 Remove any pips then cut up oranges, place in a food processor and blend until smooth. Love that bright orange colour. Makes this cake such a joy to make. 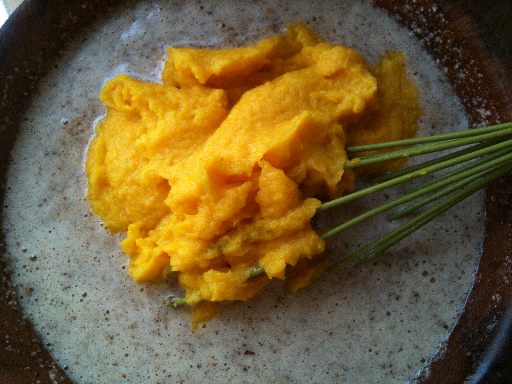 Whisk eggs by hand then add honey and whisk again until combined. Add in almond flour and baking powder and mix well. Lastly add the orange puree to the batter. Pour batter into a greased 22/23cm 9-inch round spring form cake tin. Bake at 190C/375F for 60 minutes or until a toothpick inserted in the centre comes out clean. Decorate as you choose. I was naughty and crumbled a Flake chocolate bar over the top but you can grate dark chocolate over the top or leave as is. It's great with a side of lactose free vanilla ice cream. Divine!